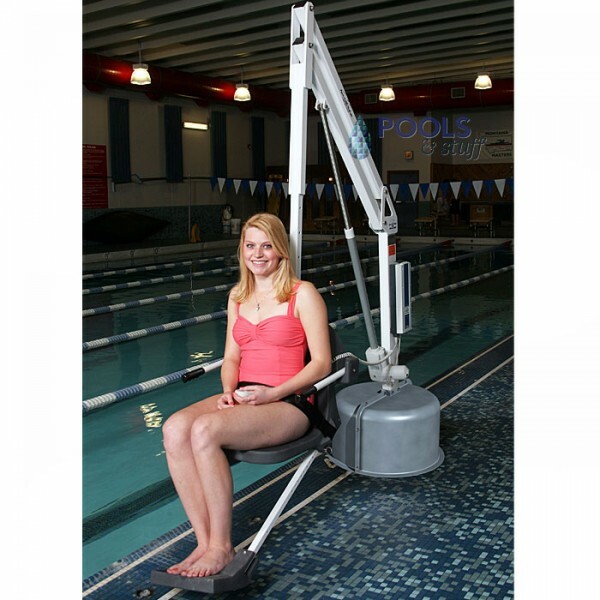 Independently verified by Wyle Labs to meet ADA guidelines section 1009.2 and be safe for commercial use, The Revolution™ lift is designed for use on in ground pools and spas. 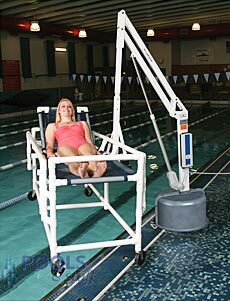 With the addition of a shorter, optional spa arm, the Revolution Lift™ can also be adapted to work on some above ground spas! 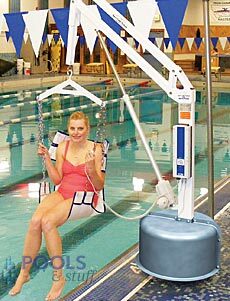 The Revolution™ has been designed to support an incredible weight capacity of 500 lbs (227 kg) and can be anchored anywhere from 10 to 40 inches away from your pool or spa so extra wide gutters are not an issue. 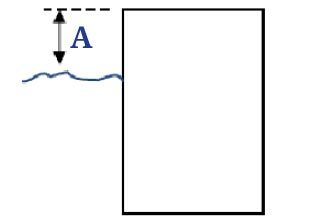 The lift also features a fully powdered 360 degree rotation in either direction and has the ability to service two bodies of water in close proximity to each other. 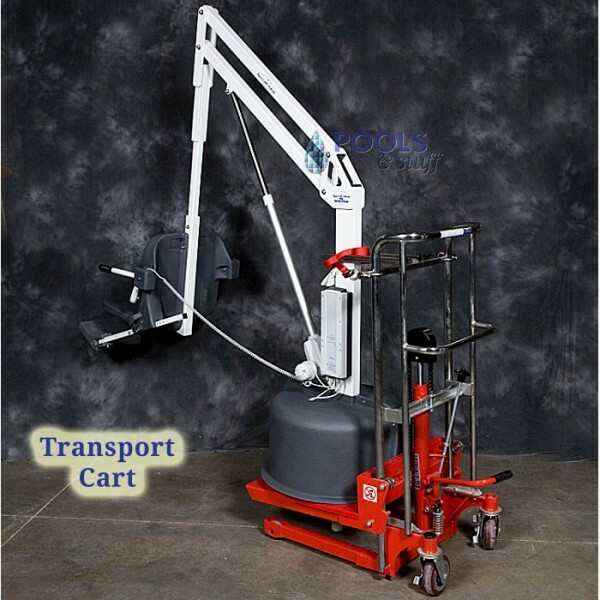 Transport Cart to move the lift from one anchor location to another. 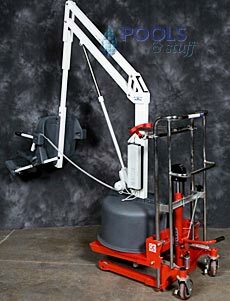 The Revolution Lift™ comes standard with a limited lifetime structural and five year electronics warranty. Ships via common carrier. 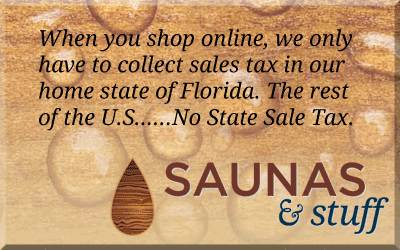 Shipping weight is 385 pounds. Some assembly is required. 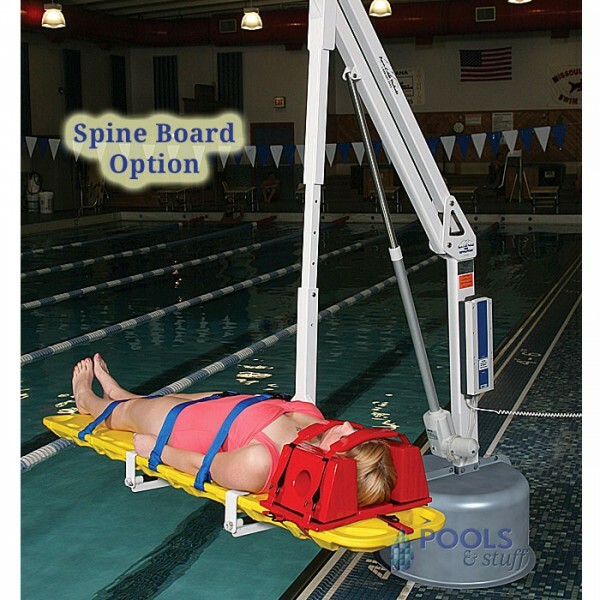 With quick release pins, the Spine Board is a one-piece unit made of durable plastic. 18" wide by 6’ long by 2 ½" thick. 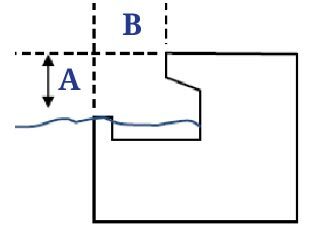 Extra wide hand holds around perimeter. 500 lb weight capacity. Complete with straps. 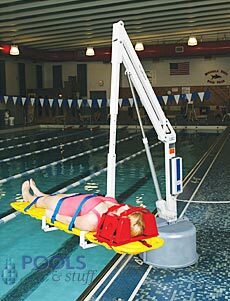 Head immobilizer purchased separately. 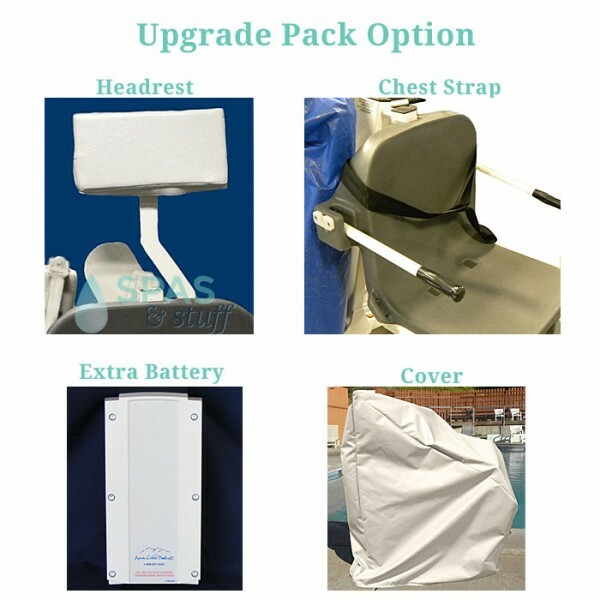 Designed for rehab facilities and hospitals. 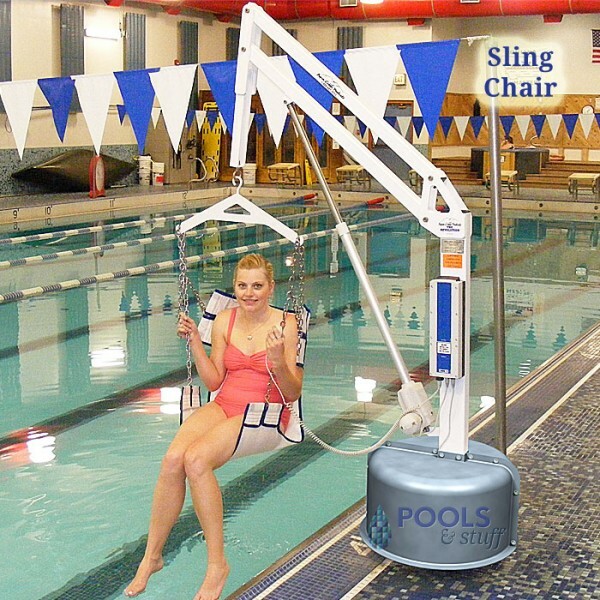 Allows users with very limited mobility to easily access a therapy pool. 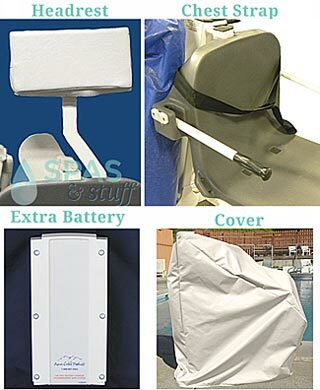 Quick release functions and made of hospital grade, corrosion resistant, PVC. 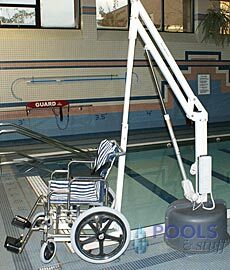 6 wheels eliminate sagging associated with lesser PVC stretchers. 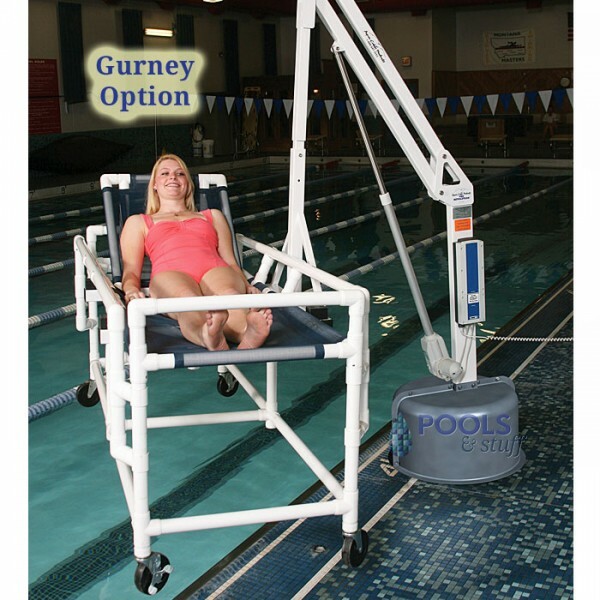 Dual drop side rails, 5-position reclining back, and a waterproof foam pad sealed with a vinyl coat to allow for easy disinfecting between patients. 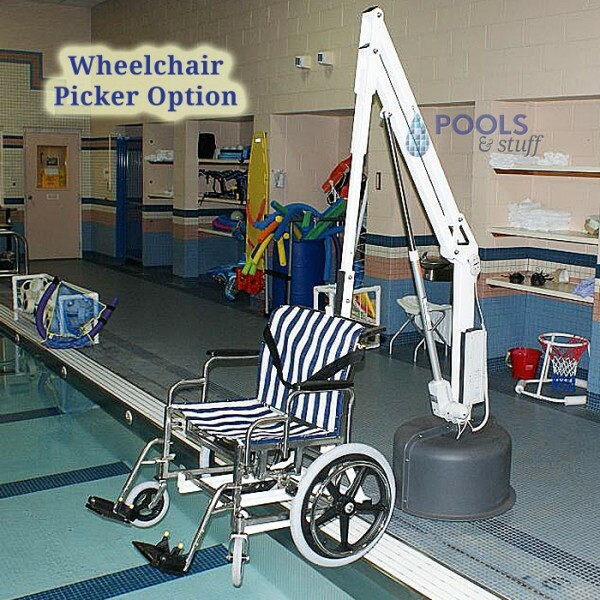 Designed to allow users to easily transfer patrons directly from their wheelchair to the pool. Durable mesh super duty sling has 475 lb capacity. 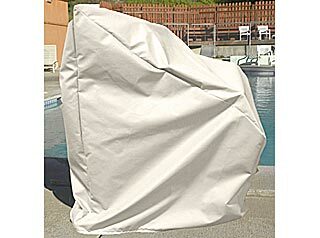 Mildew resistant, machine washable. 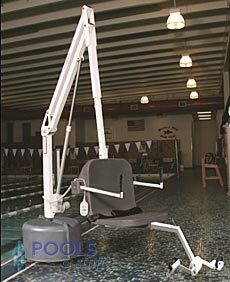 Designed for rehab facilities and hospitals. 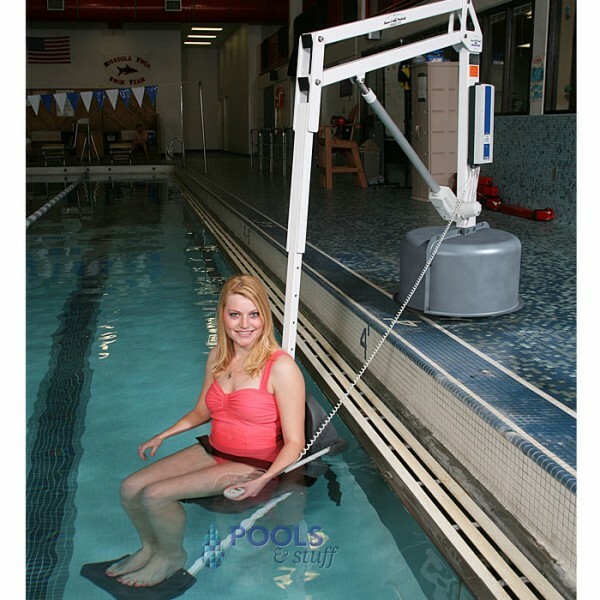 Allows users with very limited mobility to easily access a therapy pool. 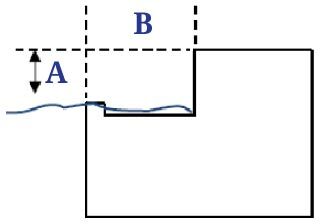 Quick release function makes it easily interchangeable. 22" wide, non-folding wheelchair made of stainless steel materials and a mildew resistant mesh seat included. 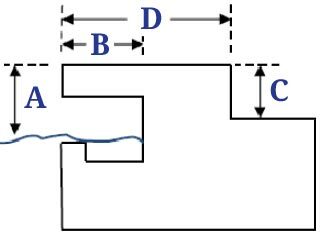 Move your lift from one location to another. 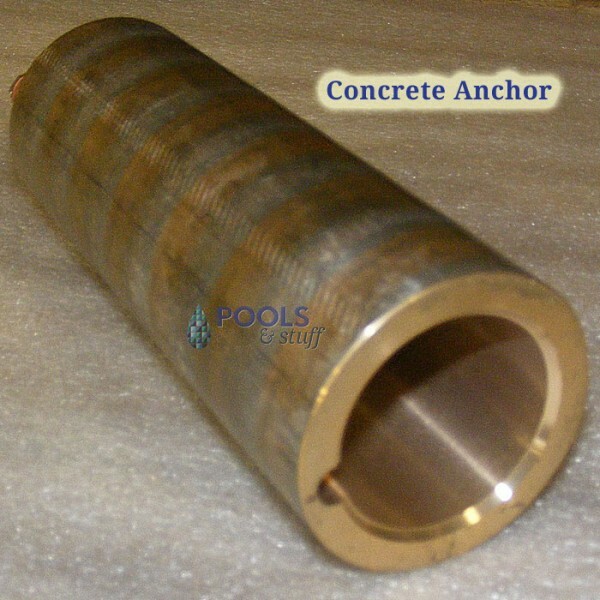 Great for multiple pools or for storing your lift out of the way. 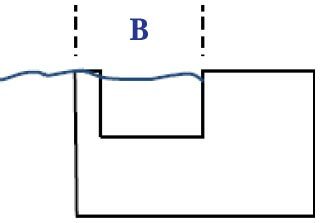 Set back ranges from 12" to 40". 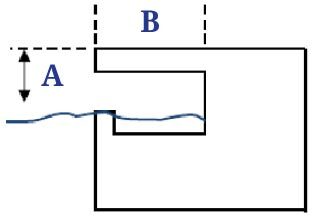 Ability to clear a 30 inch high wall.